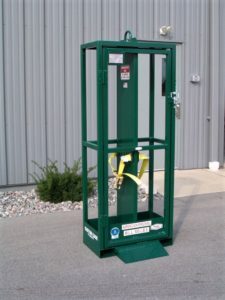 Are you looking for a safe way to lift your cylinders? 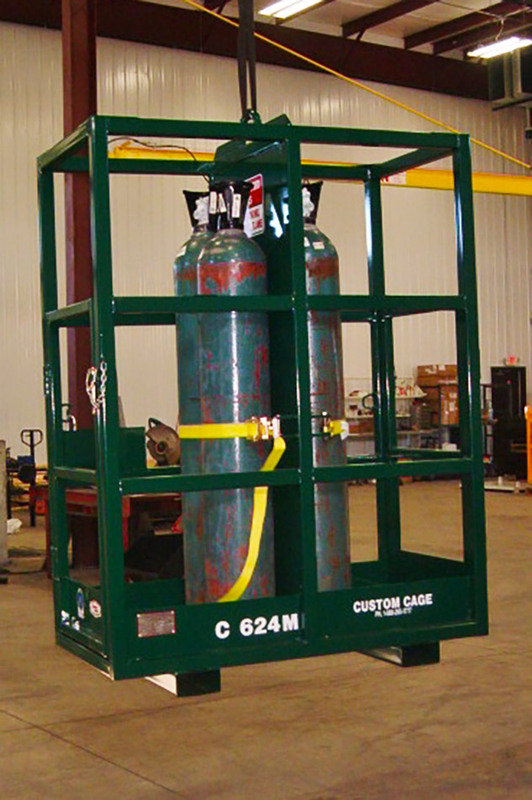 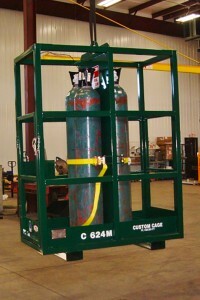 Then our Gas Cylinder Cages are what you need. 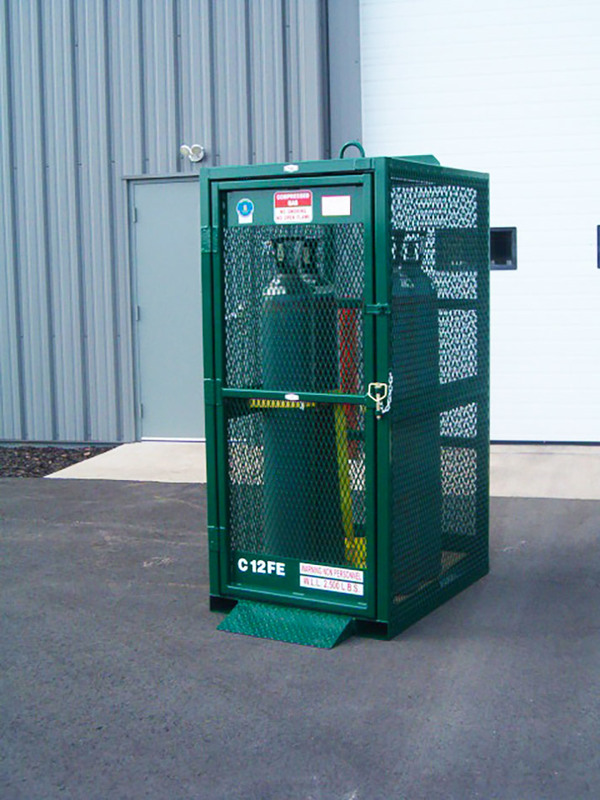 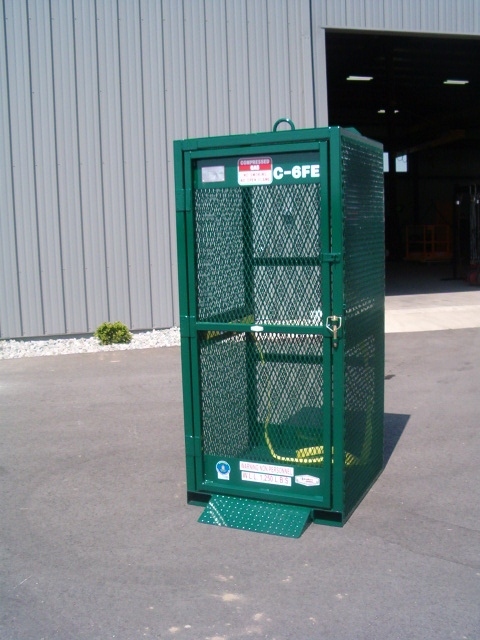 Our cages complies to the OSHA regulation code 1926.350 (a) (10) which states that the cage must have a five foot firewall with a 30 minute burn through time.The cage comes with Marinite fireboard CS85 which has been tested by our supplier to meet OSHA regulation of a 30 minute burn through time at temperature of 1600 degrees. 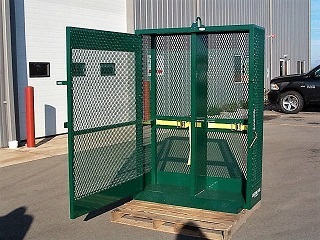 Documentation papers of proof of test are available. 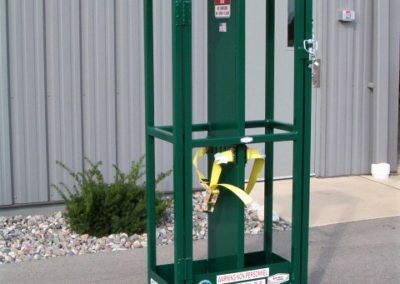 The cages are not only accessible by crane but also by forklift.The ratchet straps inside the cage make securing cylinders very easy and safe. 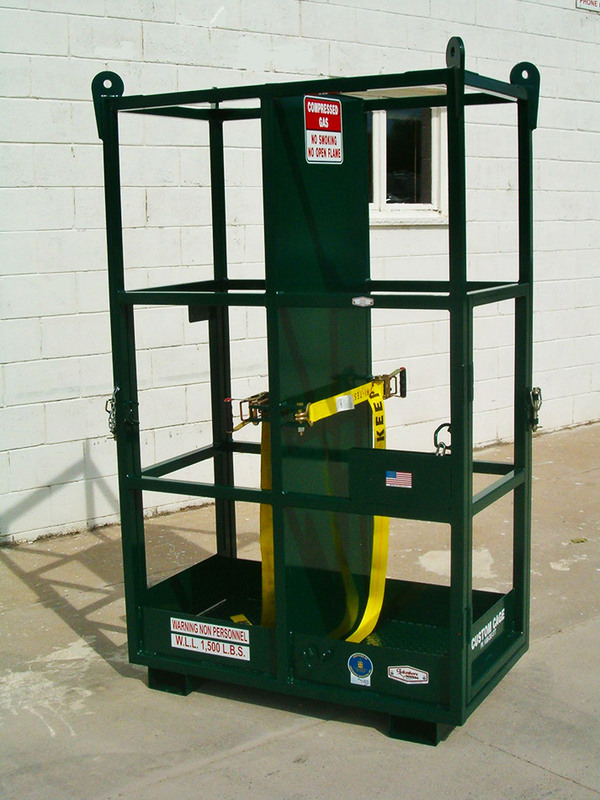 Dimensions: 29” x 15” x 72” high *Working load limit 500 lbs. 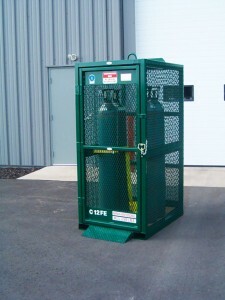 Call us today for pricing and availability.We look forward to hearing from you.